WASHINGTON: The Air Force has made tough choices and some prudent trade-offs to balance the service across the spectrum of capabilities needed for the future, Air Force leaders said. Air Force Secretary Michael Donley and Air Force Chief of Staff Gen. Norton Schwartz discussed the service’s efforts to balance between today’s operations and tomorrow’s needs. The two spoke to a group of reporters in the Pentagon today. The service is working to balance the missions from irregular warfare on one end of the spectrum of conflict to nuclear deterrent operations on the other. Defense Secretary Robert M. Gates agreed with an Air Force recommendation to retire early 250 older aircraft, to allow the service to reprogram money to other areas. “[The decision] allows us to take some additional strategic risk over the next six to seven years, which we think, given the threat environment and the current strategic interests, is a good time to take this risk,” Gates said. 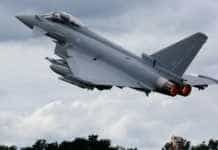 The service will reinvest the money into modifying the remaining aircraft, improving munitions and moving manpower into new high-demand requirements. 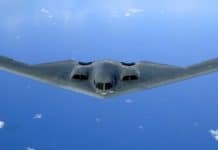 These requirements include unmanned aerial vehicles, the nuclear enterprise and in intelligence, surveillance and reconnaissance. The service ultimately will buy more than 1,700 of these aircraft. The fiscal 2010 budget request looks to increase testing of the aircraft and buying 30. 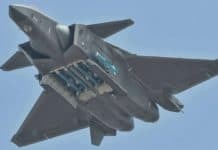 The Air Force also intends to go ahead with F-22 modifications, budgeting more than $1 billion for it in fiscal 2010, Donley said. “We think this is a good package for the Air Force and that it makes good strategic sense,” he said. 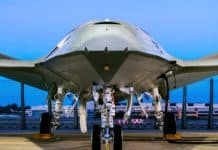 The secretary also highlighted the Air Force acquisition improvement plan, which began after the General Accountability Office found the service erred in its contract for the new tanker. The first component of the plan is to strengthen and improve the acquisition workforce. The Air Force is to hire about 2,000 employees over the next year; provide additional training to all acquisition personnel; and beef up systems engineering and cost analysis capabilities. A second area of emphasis is to pay more attention to requirements and to ensure Air Force officials understand the technology risks involved in meeting operator demands for more capabilities. A third area for improvement is financial stability, and a fourth is a stronger source selection process. 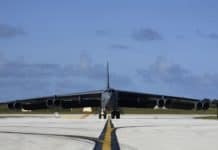 “This is where we make the final procurement decisions and the Air Force has already started retraining personnel for this highly visible portion of the acquisition,” Donley said. The final area reviews the Air Force organizational structure.